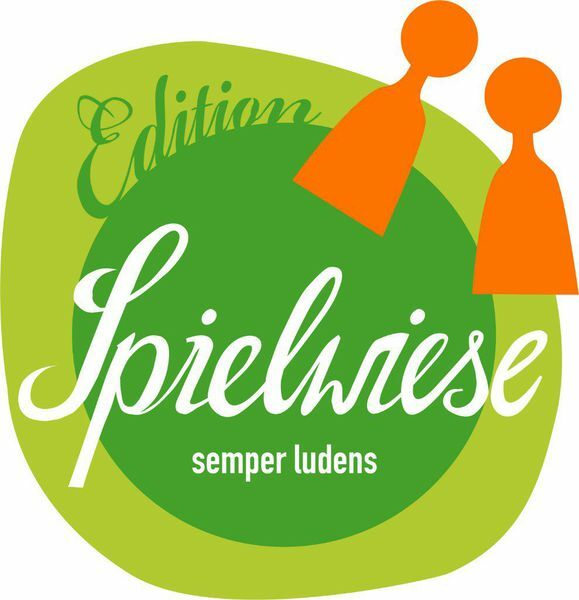 Spring Meadow is the last game of the puzzle trilogy by Uwe Rosenberg. 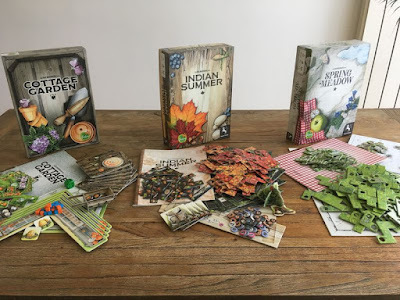 Cottage Garden was the first game and Indian Summer is the second. In Cottage Garden, you compete in the art of gardening and you are working on two flower beds with a variety of flowers. In Indian Summer, the theme is autumn. The aim of that game is to be the first one to completely cover your forest floor with leaves. In Spring Meadow the game theme is spring. 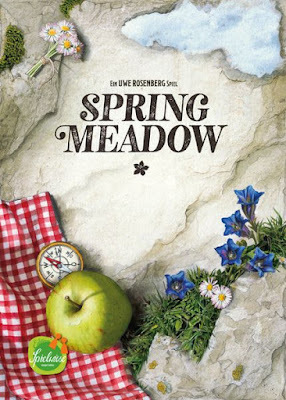 Spring Meadow is the most interactive one of the trilogy. Spring has begun, it is the perfect time to go for a nature walk. New flowers start to grow in the meadows and the curious marmots slowly awaken from their hibernation after a long cold winter. 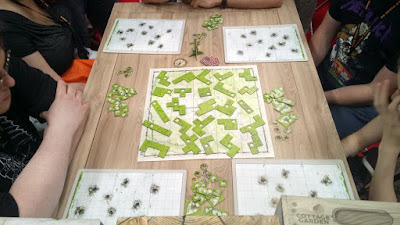 Your goal is to fill your game board from bottom to top with meadow tiles. Around a central board, a signpost will determine which puzzle pieces you can choose in your turn. Puzzle smartly, try to plan ahead and take into account what is coming up next. When placing a puzzle piece, pay attention to the marmot burrows and try to use the holes in your puzzle pieces. 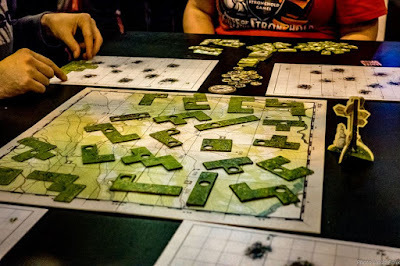 At the beginning of the game you can choose if you want to place the mountain board vertically or horizontally. On each mountain board you can see burrows. These burrows count as covered spaces for scoring. When a burrow is visible through a hole in a meadow tile, we call this a cleared burrow. Each cleared burrow is worth one addition point in the scoring phase. Scoring takes place when a row / column on the central board is empty. Try to anticipate the scoring and try to influence the moment at which it takes place. For scoring, only the fully covered rows starting from the bottom up counts, up to the first incomplete row. 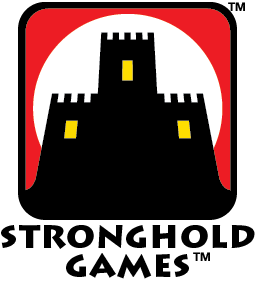 The player with the most points wins the scoring phase and receives a hiking pin. As soon as a player receives his or her second hiking pin the game ends. On Spring Meadow there is also an expert and a solo variant, for the lonesome player. The only question that remains now is : when is winter coming ? 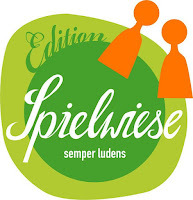 This game was donated by Stronghold Games / Spielwiese and can be played at Het Geel Pionneke from november on. Spring Meadow is for sale at spelmagazijn.be with 10% discount if you are a member.